Iranian youth were surprised and annoyed by the ignorant comment, and responded by posting to the web photos of themselves wearing jeans. And while rock and roll is mostly banned in Iran, it nevertheless flourishes underground, and some of the genre can be released in the country if the lyrics are inoffensive. Aside from Netanyahu’s sheer inaccuracy, his remark is revealing not only of Israeli and Western misconceptions about Iran but also the contradictions in their thinking about that country. The phrase also shows that he equates “freedom” with consumerism in a Neoliberal confusion between political liberty and being a good customer. Neoliberalism, the exaltation of market mechanisms over ethical and institutional goals, imagines society as a set of disconnected atoms seeking the best deal rather than as a moral community seeking the commonweal. Iran is not medieval, of course. It is contemporary with all the other countries in the world; it does not live in a time warp. Moreover, Netanyahu’s primary charge against Iran is hyper-modern. He is worried about its nuclear enrichment program. It is Iran’s scientific and technological advancement that he says keeps him up at night. 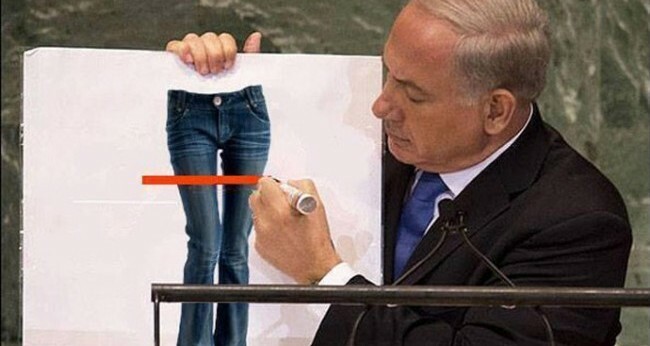 Why does Netanyahu think a country that can enrich uranium is unable to pull on a pair of jeans? Because it is medieval in that it is ruled by religious law? But using religion as a marker of backwardness and the medieval is a nineteenth-century, positivist gesture. The French philosopher Auguste Comte equated religion with the medieval and science with the modern. Israel itself is a mixed picture in that case. Israeli Jews in Israel are under Jewish halakhah, their sharia. They cannot marry non-Jews inside the country because there is no civil law. Ultra-Orthodox or Haredi communities in places like Beit Shemesh are if anything more conservative than most Iranian Shiites, with similar attitudes toward gender segregation and modest dress for females. While many Ultra-Orthodox are not strong Zionists, religious Zionism, using the Bible to justify Israeli settlement policy in the Palestinian West Bank, is a major strain of thought in Israel. Netanyahu has been known to cite scripture in this regard himself. The Ultra-Orthodox have grown from 2% of Israelis to 8% in recent decades and are the fastest-growing group. They don’t wear jeans. In fact, their dominance of Jerusalem’s public spaces has largely killed night life in that city, especially on Friday night and Saturday, and Israeli Jerusalemites looking for a dance club and rock music and jeans-wearing people mostly have to commute to Tel Aviv for the weekend. (There are a few bars and night spots in Jerusalem; a few.) Even private Saturday afternoon rock concerts in Jerusalem have drawn Ultra-Orthodox ire. Both Israel and Iran are a mixture of high-level science and engineering and religious commitments harking back centuries. 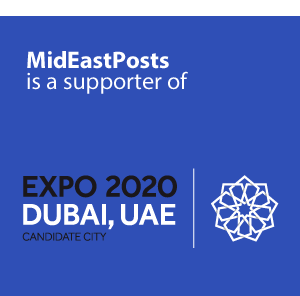 Whereas the Western image of Israel emphasizes the modern and downplays the halakhic dimension except for invoking the Bible to justify the expropriation of Palestinians, the Western image of Iran foregrounds ayatollahs and sharia and ignores the country’s modernity except in its anomalous anxiety about nuclear enrichment. Both images are distorted as in a fun house mirror, but stretched in opposite directions. So if Mr. Netanyahu wants to wish modernity on Iran, he could start at home by agreeing that the land rights of Palestinians cannot be determined with reference to a book written down in Babylon some 2500 years ago. He could grant the Palestinians what they deserve by international law, their own state. And he could recognize Iran’s right to produce nuclear fuel for its reactors as long as the UN is allowed to inspect those facilities with transparency (the facilities are being inspected, but the UN wants a bit more cooperation). Then everybody, Israelis and Palestinians and Iranians, could enjoy a good rock concert wearing jeans, together.